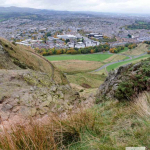 Walk about a mile to the east of Edinburgh Castle and you’ll find Holyrood Park – an outstanding area of natural beauty that offers visitors a haven of tranquillity amongst the hubbub of Scotland’s capital city. 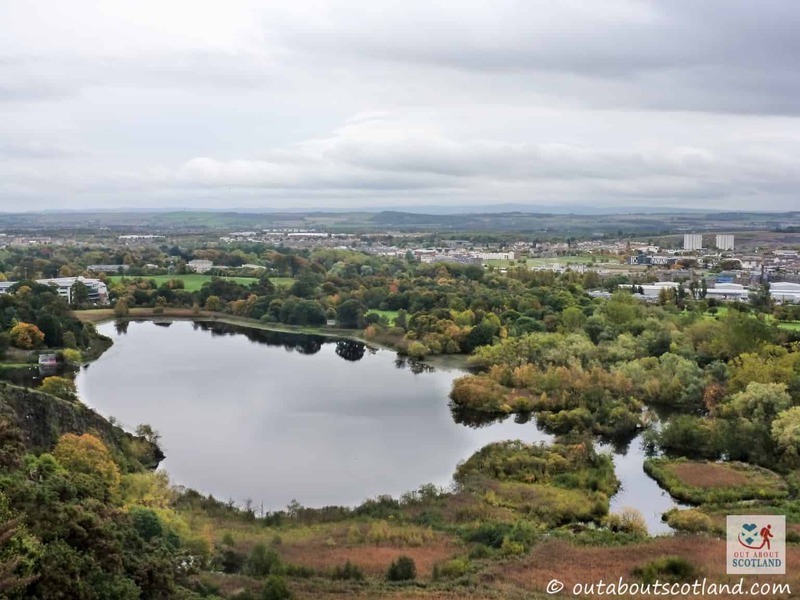 This is a surprisingly big park and even though it’s situated in the middle of Edinburgh it offers over 650 acres of wilderness to explore. 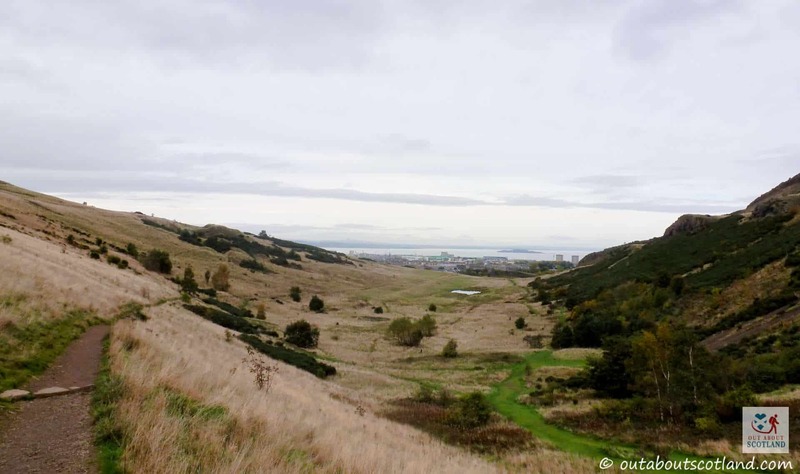 Take a stroll through Holyrood Park you’ll quickly discover that it’s just like a miniature version of Scotland’s countryside, with wild meadows, peaceful lochs, mountainous peaks, and swathes of gorse, and on a quiet day it’s easy to forget you’re in the middle of the country’s capital city. The most accessible route into the park is to head down the Royal Mile towards the Scottish Parliament Building and from there you can either walk around its perimeter to enjoy the wide-open landscape along the ring-road or you can follow the paths that wind their way through the centre, but while both options are enjoyable I’d recommend you head into the park to experience the dramatic views at the top of Arthur’s Seat. 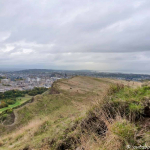 If you’re feeling adventurous you can climb up the 800-foot incline to Arthur’s Seat – the highest point in Edinburgh – to take in the views in a stunning 360-degree panorama. Take note though, that although the path to the top is well used it’s also a hard climb, so anyone with a medical complaint might want to consider giving it a miss. 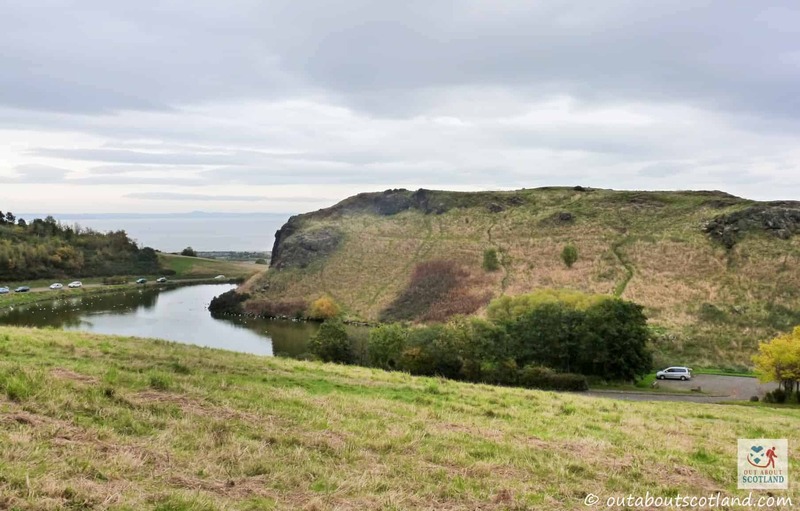 But for those adventurous visitors looking for the best views in Edinburgh the most straightforward route is to head east past Dunsapie Loch and follow the obvious, well-worn path. There aren’t any signposts in the park but you’ll usually find a helpful local walking around who’ll be happy to tell you which direction to head in. 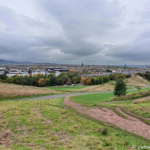 Arguably the best way to see Holyrood Park is to just start randomly exploring it and there are loads of interesting features to discover as you walk through it. 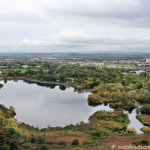 At some point you’ll more than likely come across one of the three lochs that are a haven for wildlife, and you might even stumble across the ruins of St. Anthony’s Chapel, one of the oldest buildings in the entire city. The chapel itself is a relatively small structure around 13 x 5.5 metres, with one metre thick walls built from locally sourced stone. Historians think the origins of the chapel date somewhere in the 14th or 15th centuries and there are records that show a grant for repairs was made by the Pope as far back as 1426. The fact that the Pope authorised this grant seems to suggest that St. Anthony’s Chapel had some significance back then, and possibly had a connection to the nearby Holyrood Abbey. Unfortunately, the chapel fell into disrepair after the Reformation in 1560 and today only the north wall remains standing alongside the remains of a stone storeroom just a few yards away to the south-west. 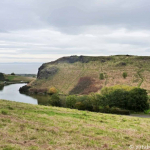 If you do happen to find the ruins of St. Anthony’s Chapel, head north around a hundred metres to St. Margaret’s Loch, the man-made body of water created in 1856 under the instruction of Prince Albert as part of improvement plans to beautify the land surrounding Holyrood Palace. It’s a great place to feed the ducks, geese, and swans that live there and the path that runs alongside it is a very popular route for joggers if you feel the need to join in and do some exercise yourself. 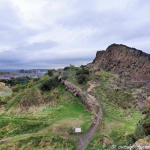 There’s a huge amount of history to discover at Holyrood Park and it’s well worth learning a little bit about it before you go for a walk, just so you know what to keep an eye open for. 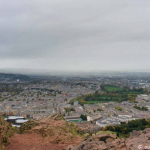 Take the pinnacle of Arthur’s Seat for example. 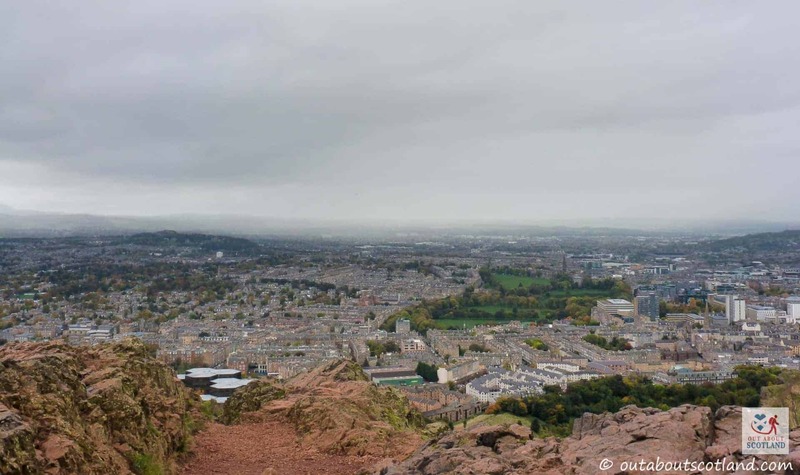 Like the rock on which Edinburgh Castle was built, Arthur’s Seat was formed by a volcano that erupted around 340 million years ago, and over many millions of years the effects of weather erosion and glacier movements formed the rocky outcrops that we see today. 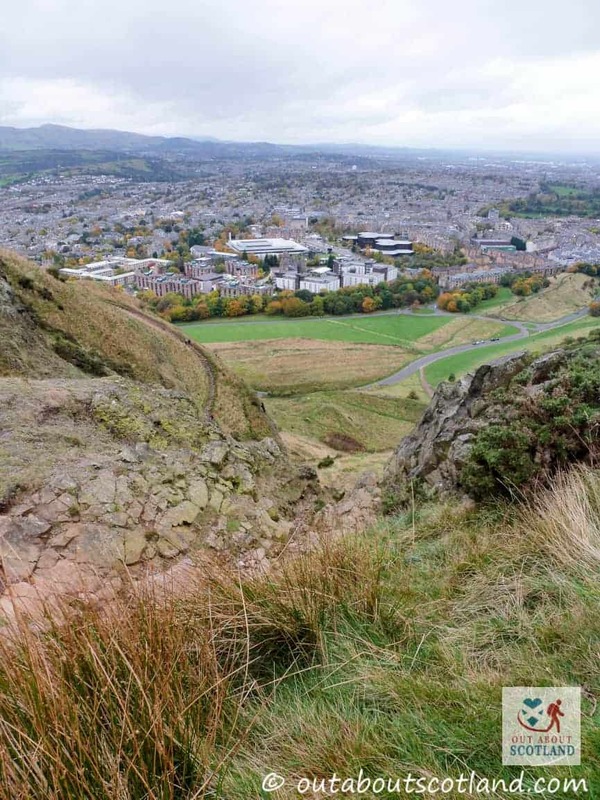 The study of the rocks in Holyrood Park has been instrumental in the development of modern earth-science and renowned geologist James Hutton formed many of his ideas of how the planet was created after studying its lava formations, and in fact the site where Hutton conducted his research can still be seen as you wander around the path that runs along Salisbury Crags. 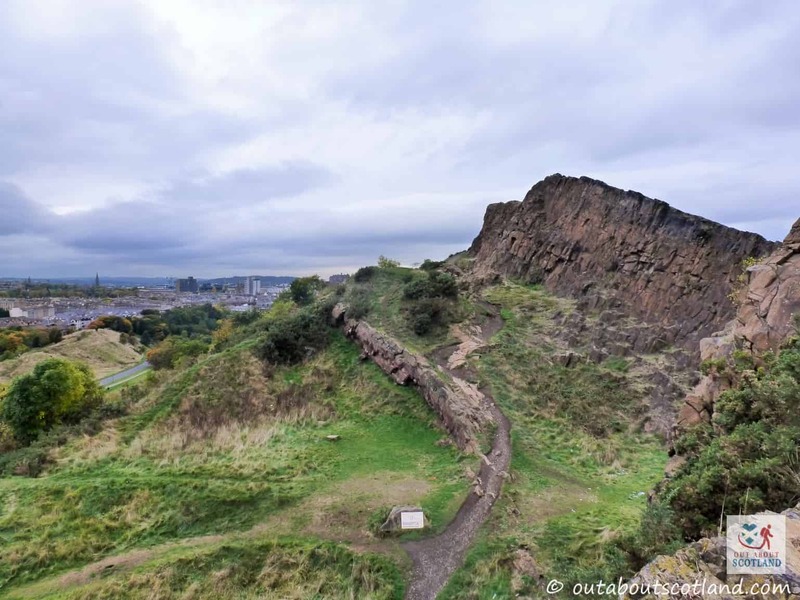 You can’t miss Salisbury Crags because they form a sheer cliff-face – the bottom of which is where you’ll find the path built after the Radical War of 1820. The ‘war’ was actually a week of strikes and unrest caused by Scottish manual labourers who were protesting against the terrible conditions in which they had to work, and after King George IV visited the city in 1822 the author Sir Walter Scott suggested that unemployed weavers from the west of Scotland could be used to build a handy footpath around the park – hence its name, The Radical Road. 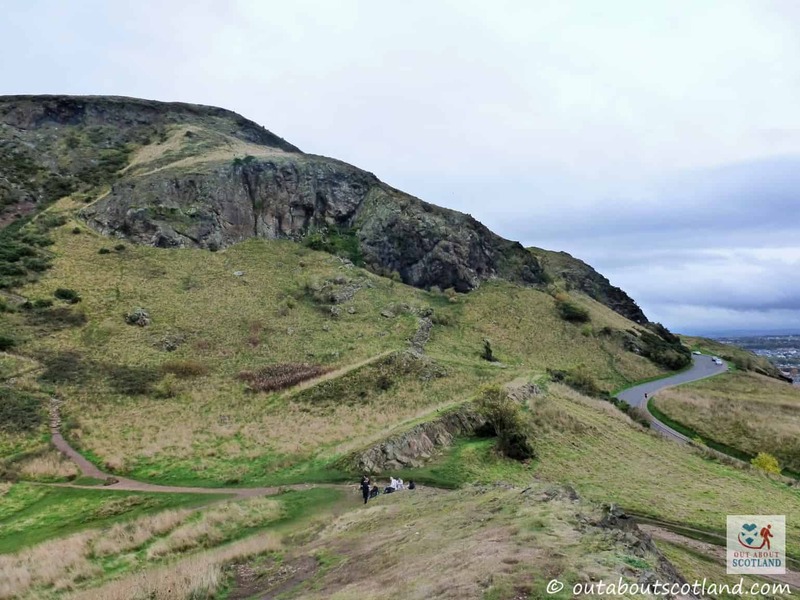 Heading further up towards the peak of Arthur’s Seat you can just about make out the remains of hill fort defences that were built at the time of the Votadini tribe, around 600 AD. 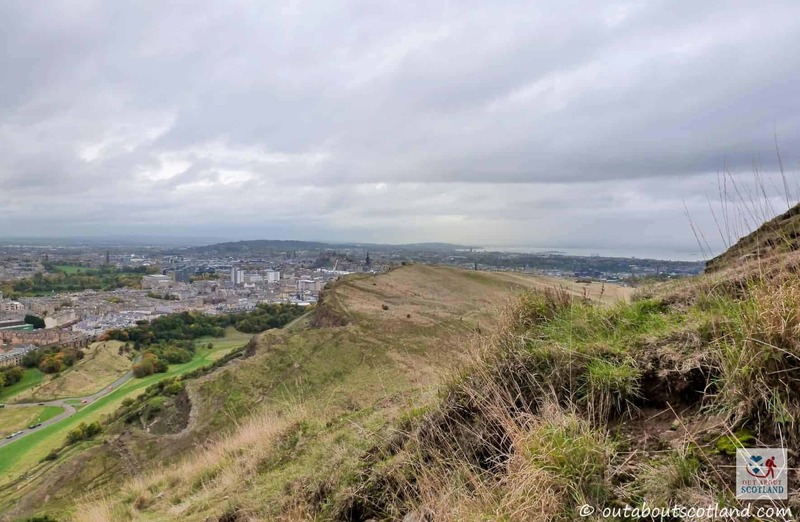 These Iron Age hill forts are some of the earliest known man-made structures in the city and they’re a popular destination for visiting history and archaeology students from all over the world. 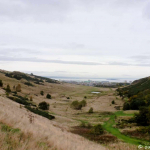 Holyrood park can be walked around in any direction and the paths are well laid out, although they’re not clearly signposted. A good starting point is to head onto Queen Drive away from Holyrood Palace, where the roadside path branches off into the park. Turning right there’s a fairly steep incline up a rocky path that runs around Salisbury Crags, and this section of the walk will take you past the area where the world’s first geological studies were carried out. 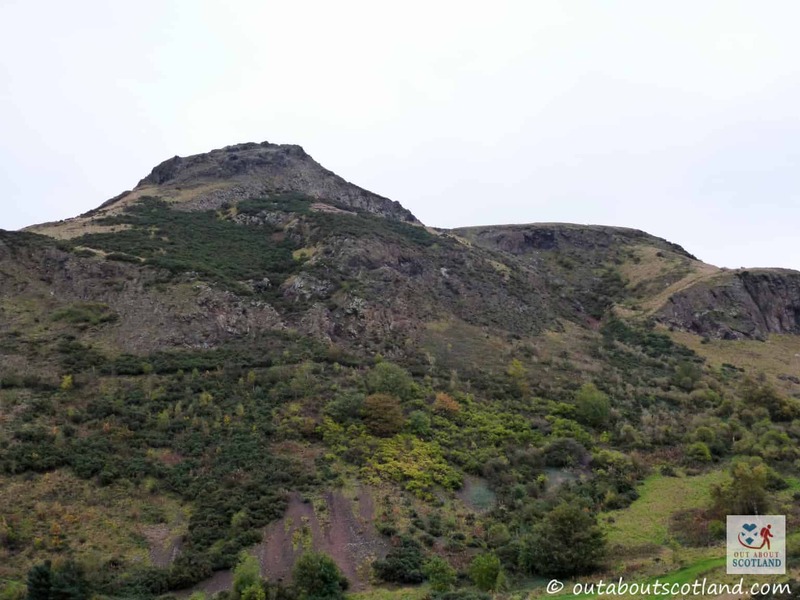 Eventually, you’ll come to a section that heads back towards the road, but if you turn the opposite direction and head further into the park you’ll begin your ascent to Arthur’s Seat. 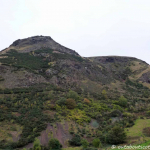 There are various routes to get to the top but the most popular is easily seen from the well-worn tracks and rope handrails that have been installed by park wardens. 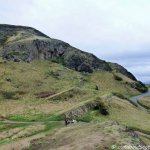 As you walk back down to the main pathway after climbing the summit you’ll follow the tracks that lead into the very heart of Holyrood Park, where steep slopes surround you on either side. 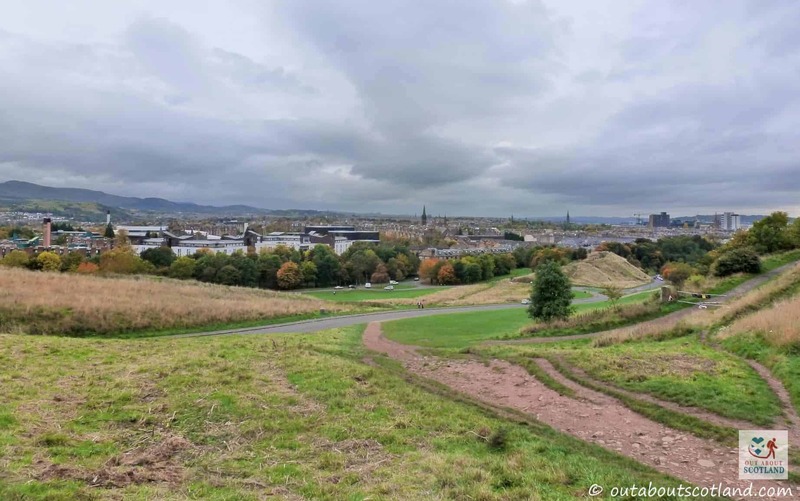 While you’re heading back towards the direction of Queens Drive be sure to stop and take a look at St. Anthony’s Chapel where the remains of one of the oldest buildings in Edinburgh can still be seen. Following this, you’ll be able to follow the paths that lead back to your initial starting point opposite Holyrood Palace.